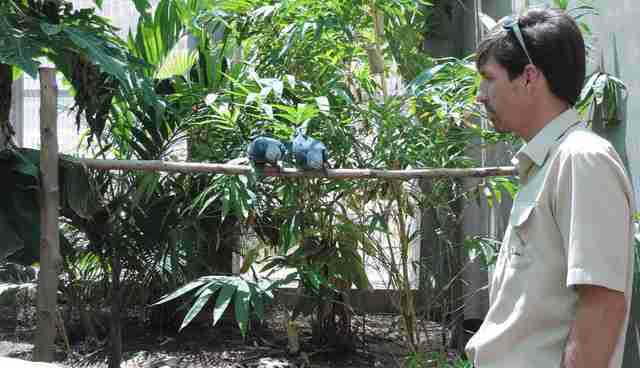 The Spix's macaw, a rare breed of parrot native to Brazil, is likely the rarest and most elusive bird in the world. The last known sighting of one of these birds in the wild was almost 14 years ago. Because of this, the breed is believed to be extinct in the wild. Despite this disheartening news, there is still hope remaining for the species. Though there are no known macaws in the wild, there are approximately 90 being bred in research facilities and wildlife refuges around the world. 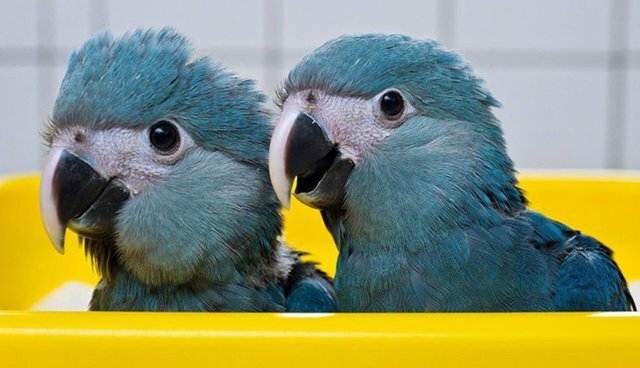 Cromwell Purchase, acting director and head of birds at the Al Wabra Wildlife Center, is attempting to save the Spix's macaw from extinction by housing and studying roughly 70 of the rare birds at the center in Qatar. The ultimate goal is the reintroduce these birds to their native habitat in Brazil. Purchase says that a large contributing factor to the dwindling number of macaws is their inherently low fertility rate, which inevitably leads to a more sluggish rate of evolution and adaptation. This fact, compounded with loggers destroying nests and poachers selling baby macaws to private collectors, all led to a rapid decline of the breed. However, Purchase is optimistic that the center will be able to reintroduce the Spix's macaw back into the wild in 2019 -- the bicentennial anniversary of the year the rare bird was first discovered. Purchase says that this eventual reintegration of the macaw into its homeland will be the true success. "Just looking after birds in a cage is not conservation."